« Who’s Right on Medicare Reform, Ryan and Rivlin or Obama and Gingrich? My fight for freedom often requires great sacrifice. Last month, I went to Monaco and spoke about financial regulation and bailouts. 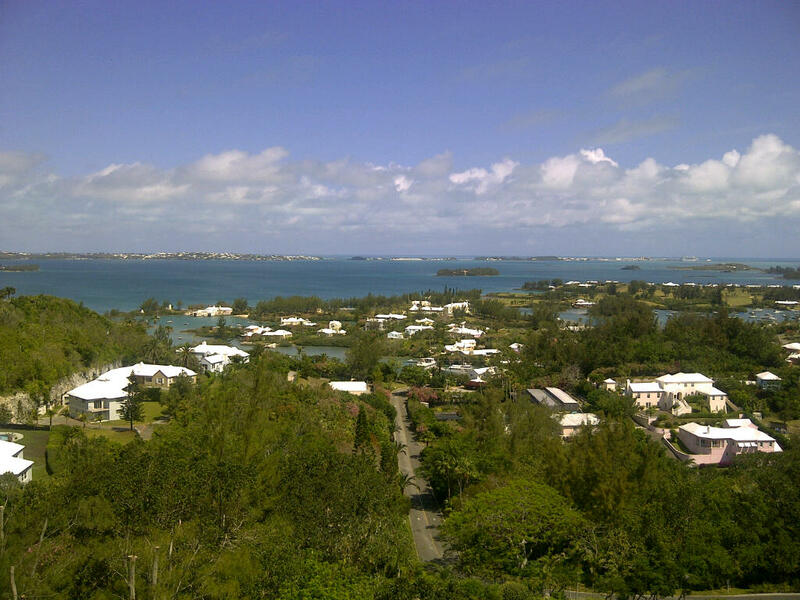 Today, I’m in Bermuda, where I just gave a speech about tax competition. Both jurisdictions are remarkable places, among the richest places on the planet. And remarkably scenic, as illustrated by this picture I took from my balcony. What makes Bermuda’s success especially admirable is that it is a genuinely multiracial society, with blacks comprising a slight majority of the population and playing major roles in both politics and finance. One would think, therefore, that leftists would see Bermuda as a role model. But that would be a mistaken assumption. Bermuda actually is a bad place from a left-wing perspective because the jurisdiction is guilty of two unforgivable sins. First, like Monaco, Bermuda has no income tax. This makes the small island a terrible role model for statists. After all, wouldn’t it be awful if other places learned from Bermuda’s success and abandoned class-warfare tax policy? Second, Bermuda is (gasp) a tax haven. This means that it attracts jobs and capital from high-tax nations. Not surprisingly, this is even more upsetting to leftists since it makes it difficult for other nations to impose class-warfare tax policy. In other words, the left wants power for government even more than it wants prosperous multiracial societies. But that’s not exactly a surprise. Prosperous people, after all, generally are not sympathetic to ideological movements based on high tax rates and bloated government. For folks who want more information, here’s a video that explains the economic benefits of tax havens. pleasant for me to pay a visit this site, it includes priceless Information.